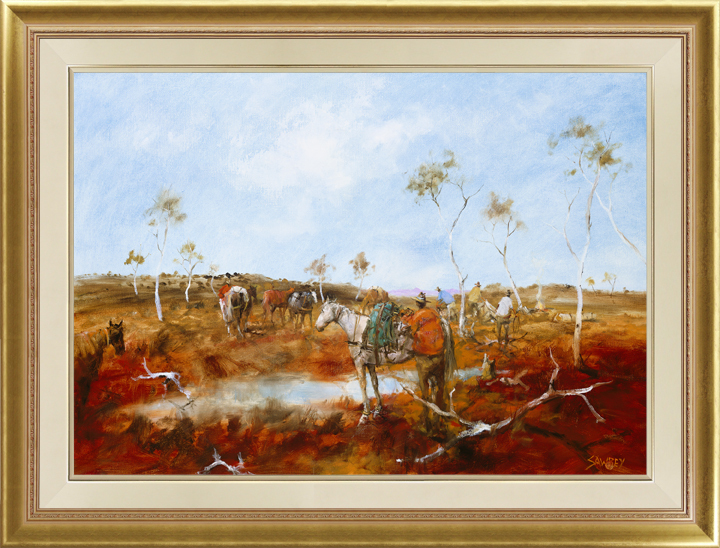 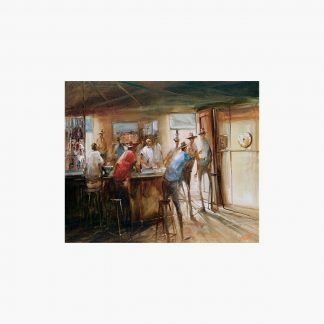 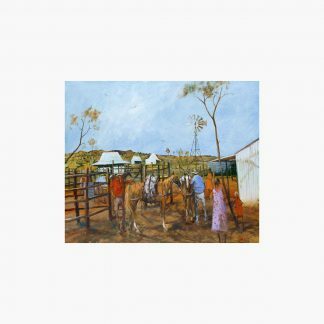 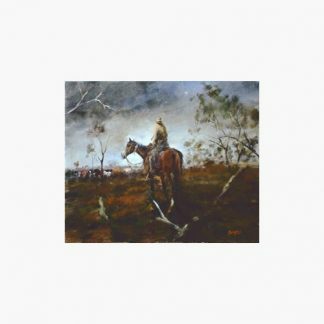 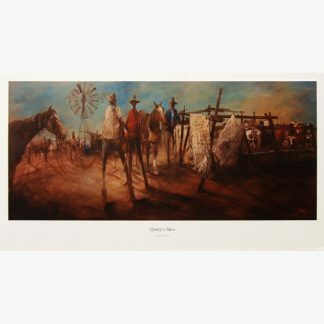 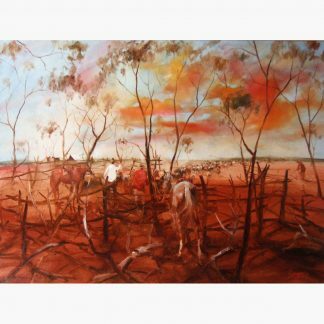 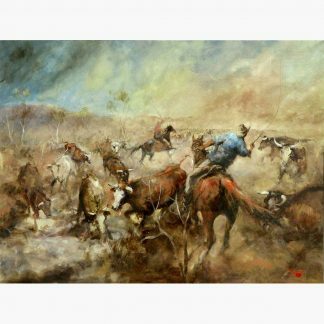 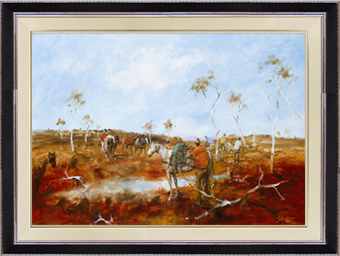 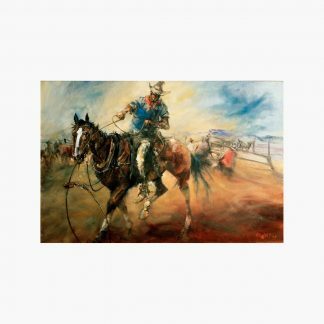 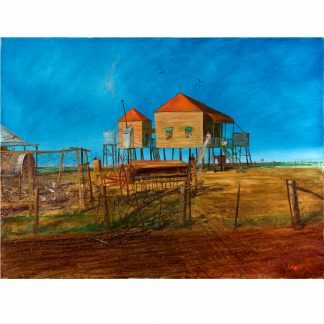 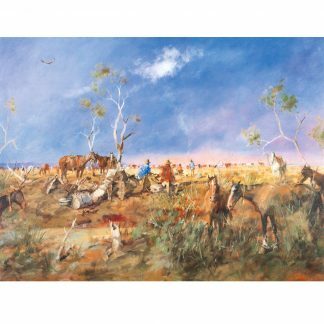 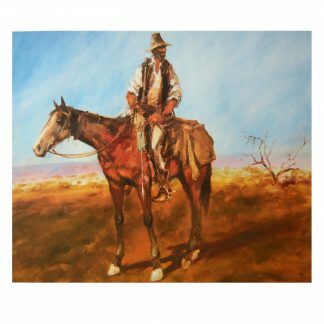 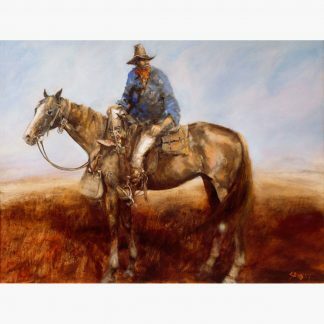 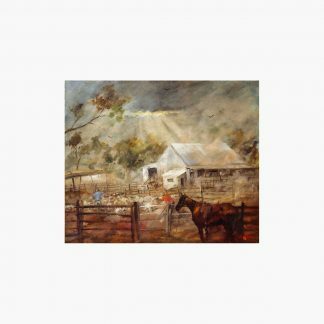 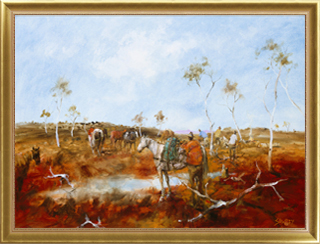 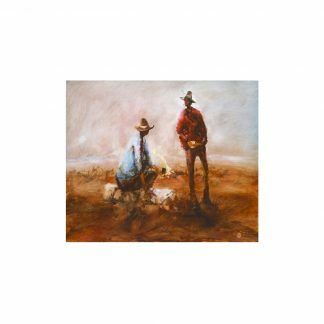 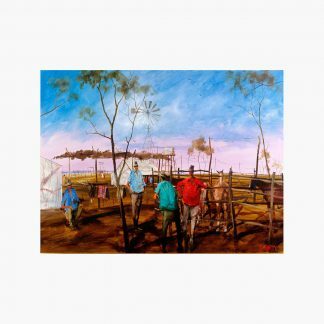 Hugh Sawrey knew the subject of this painting very well from his time working in the regions of central and western Queensland. 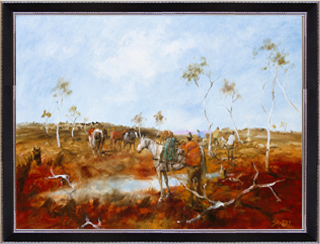 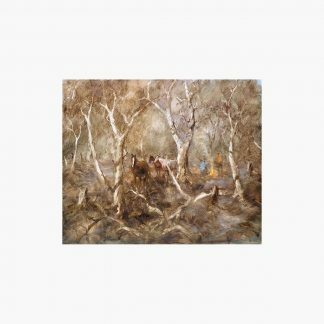 The scene shows head stockman Arthur Church and a team of four men as they set out after camping the night at a natural spring waterhole. 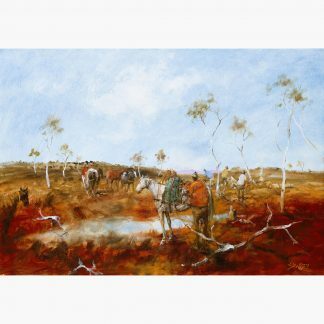 As the landscape depicted is rough country with no clear holding area for livestock, we know the group are still in the process of trekking out to the region where the scattered mob of cattle would be located. 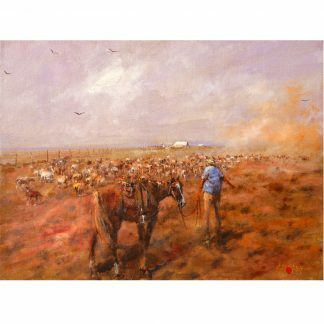 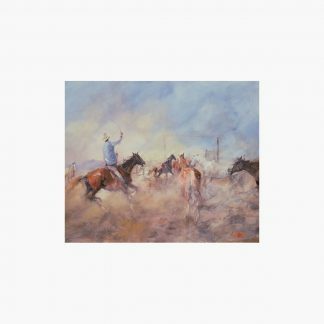 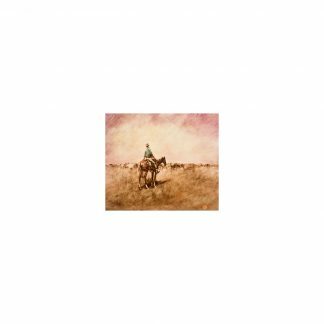 To save time, the riders would traverse the most direct route shaving days off their journey, but once they had brought the stock together they would return along a much easier route with access to plentiful water to keep the cattle in good order. 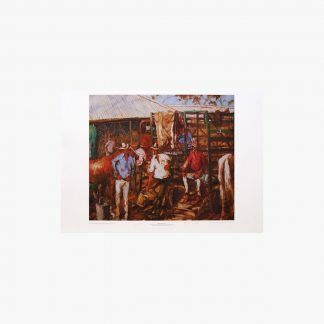 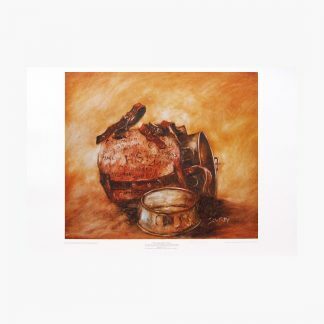 The scene is full of variety and interesting details such as the hobbles on the packhorse to the activities of the other drovers as they pack swags and gather their equipment before departure.